Is the extra money worth the time? Shhhh, listen close … what’s that sound? Is that yet another teacher friend bragging about their side hustle with VIPKID? If you feel out of the loop or just want to know more before you apply too, then you’ve come to the right place. We break down everything you need to know about VIPKID jobs including what it’s really like teaching ESL online, how to handle your schedule with a 12 hour time difference (and that’s just on the east coast) and what you must do to nail your interview. Our sources? Teachers who’ve already gotten the gig and are loving the experience! 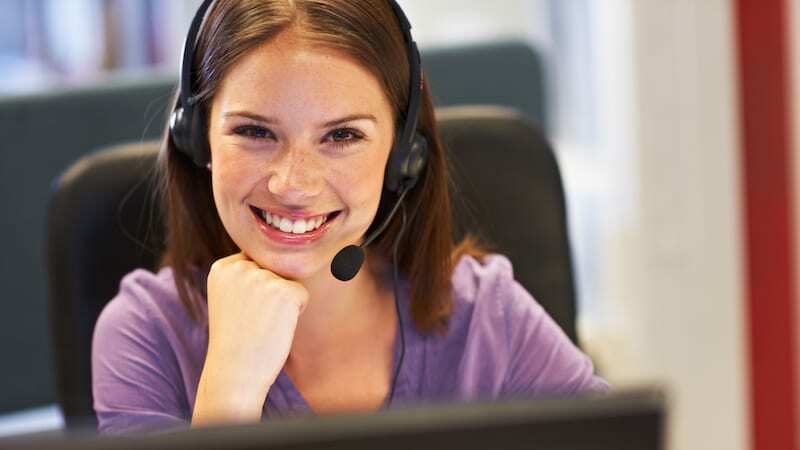 How do you apply for VIPKID jobs? You’ll have an online interview with a VIPKID executive to discuss your professional background and participate in a 10-minute demo based off of lesson slides that VIPKID provides. The curriculum is very structured so each VIPKID lesson focuses on their slides. Therefore, the company needs to see that you can teach their curriculum in the way that they’ve designed it—while still employing appropriate ESL and classroom techniques. After the interview, they give you a whole bunch of training material to review and a full lesson to prepare for a separate mock lesson with a teacher-mentor. Best advice to nail the mock lesson? Many teachers say the hardest part about the mock lesson is nailing the timing—not ending too early, not ending too late, and figuring out how to extend a lesson for a kid that wasn’t challenged enough. You should be animated yet talk slowly. Some teachers suggest approaching it like you’re auditioning for Sesame Street. Many suggest limiting any “extra talk.” In your live classroom, you have the luxury of over-explaining or reviewing things multiple times. Online you have to be clear and precise from the start as you only have approximately 25 minutes per class. Feel free to use lots of TPR (total physical response), repetition, and props. And while there are a lot of YouTube videos out there with mock interview examples—be careful and only watch those from the official VIPKID YouTube channel. VIPKID pays between $7-9 per 25-minute class plus $2 per class if you hit a minimum of 45 classes each month and are on time. Most teachers say it equals to roughly $20 an hour figuring that you can do two, 25-minute classes per hour. VIPKID pays once a month for the month prior via direct deposit. How do taxes work when you’re working for an international company? VIPKID treats its employees as independent contractors, so you will receive a 1099 with all of your earnings reported. No taxes are withheld by VIPKID. Depending on your financial situation, this may mean you will need to file quarterly estimated taxes. Is VIPKID a multi-level marketing company? This is a question that comes up a lot in our WeAreTeachers community, as some VIPKID instructors are aggressive about recruiting other teachers. It’s true that teachers who recruit new instructors are paid a one-time referral fee, but there are no continued earnings on that recruit. Yes, VIPKID asks you to commit to six months of work at a time. At the end of six months, your contract may or may not be renewed depending on feedback from students and parents as well as the number of classes you taught. What’s it really like teaching online? What if my student misbehaves? Behavior issues are very rare. The biggest complaint is the kids can appear distracted more than anything. It’s way different than a normal classroom, so there are some adjustments. But those who have been teaching with VIPKID for a while says it gets easier with practice. With such a huge time difference, what are the VIPKID hours like? The hours for VIPKID jobs are tough. Because of the time difference, many teachers take on an early morning load that starts around 4:30 am including weekends. If you can swing it, the hot times are Friday and Saturday night from 9 pm to midnight EST. You make your schedule, however, and there is no minimum or maximum hourly requirements. How do you prep for your classes? There is very little prep once you get used to the structure. You’ll be provided with a lesson to do with each kid, depending on their level. You work through a PowerPoint lesson with them that each of you can interact and write on. You’ll both wear headsets and see each other on camera. You can add in as many props/rewards as you would like—and many teachers warn that the time goes very fast! You will need a fast, reliable Internet connection in order to take advantage of VIPKID’s platform. Some teachers who live in remote areas say they use a HotSpot to connect. A good headset can also help with sound, although you can also use your computer’s built-in microphone. You will also need a webcam and either a Chrome or Firefox browser. Once you’re hired by VIPKID, how do students find you? There’s a “parent portal” where your profile is uploaded. Each teacher uploads a few pictures of themselves as well as a brief greeting video. VIPKID has a suggested script for the video—but some people get fancy and edit theirs with music and effects. Not that creative? Don’t worry—it’s only 15 seconds long and doesn’t seem to make a difference! Each teacher also writes a short bio as an introduction. On your VIPKID jobs profile, parents can see other parents’ feedback about you. Teachers are rated by parents, and teachers only recently were given access to these ratings and comments. Parents can also follow particular teachers, which is a way to allow parents to mark teachers as “favorites” and make it slightly easier to find certain teachers when they’re booking. Parents can book up to two weeks in advance on a rolling basis starting each Monday at noon (Beijing time). So, is VIPKID really worth it? There was very little negative feedback from the VIPKID teachers we spoke with. The overall consensus was they like being in control of their schedule, the extra money is really nice, and for the most part, it is very low stress. And if you can find regular students to teach, it’s really fulfilling to watch their progress! What are your thoughts on VIPKID jobs? Have you worked with VIPKID? Do you have any tips or advice to share with our readers? Please share in the comments. Hello everyone! I’ve worked for VIPKID for 8 months now. I love it and would love to help you through the hiring process and once you get hired, too! Please contact me through email erialexis6@gmail.com if you have any questions!